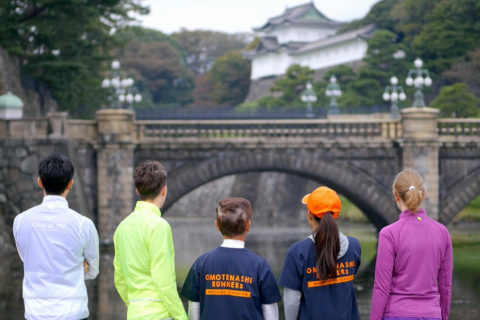 Home » Explore » The power spot “Hie-jinja Shrine” is a Japanese shrine full of instagrammable highlights! Hie-jinja Shrine in Tokyo is a shrine of the traditional Japanese Shinto religion, which is unique to Japan. 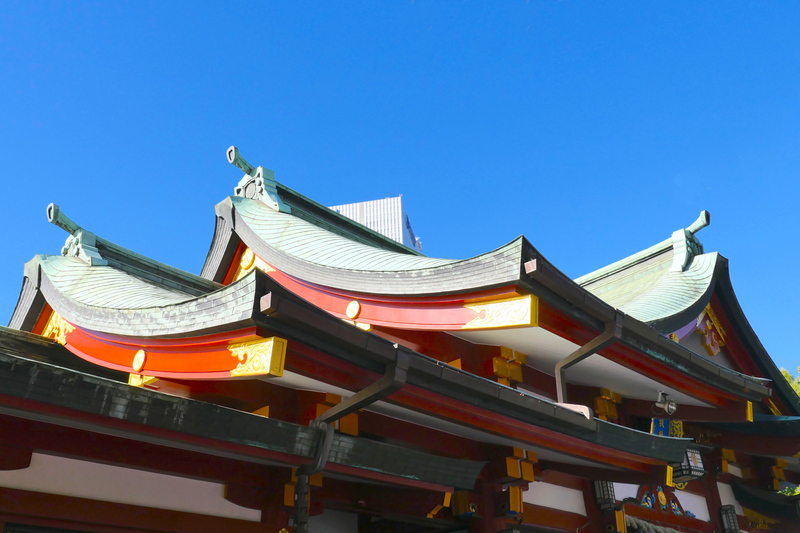 This shrine has a lot of interesting features and there are many things to see. 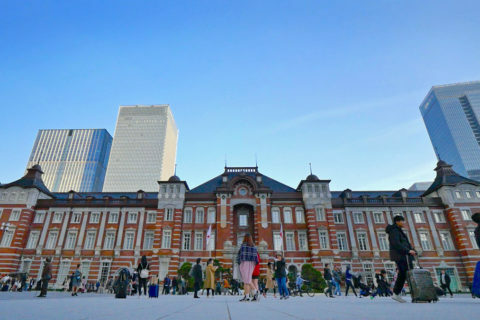 The “Treasure House” holding treasures of historical value, a row of bright red gates “Senbon Torii”, and “monkeys” are waiting for you! 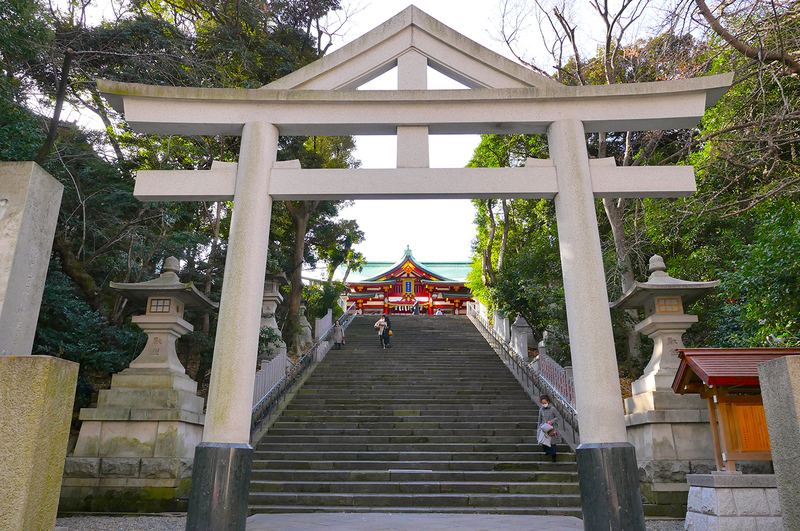 Hie-jinja Shrine (“jinja” is “shrine” in English) has a history of about 800 years, and is located on a small mountain close to the Akasaka area. 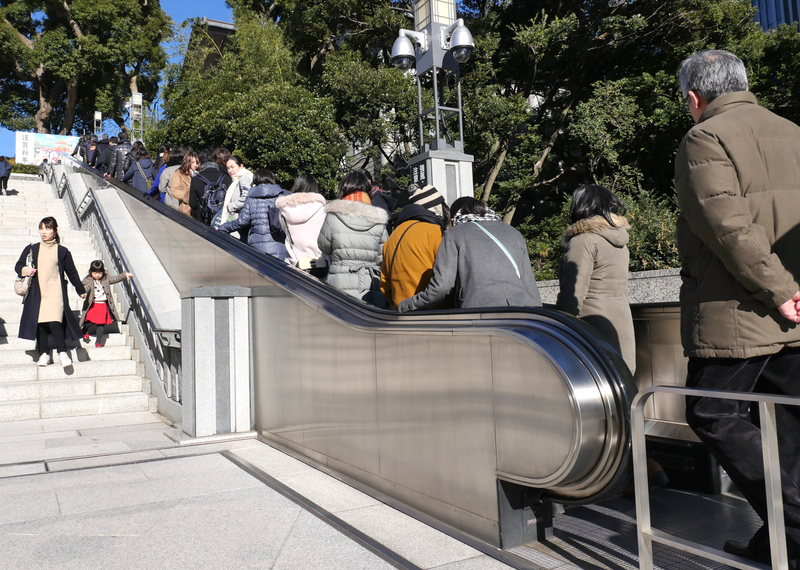 When you head towards the precincts you can use the shrine’s outdoor escalators. 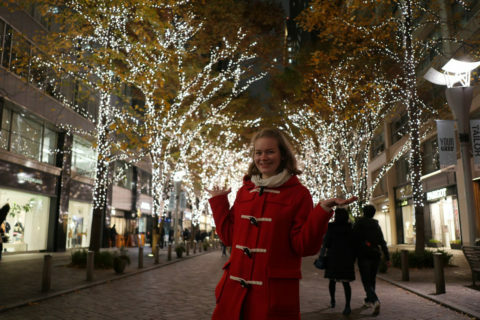 Well, what else to expect in a high-tech country like Japan! The first thing you have to see is the colorful entrance gate. When you go through the gate and look closely around the precincts you will find some monkeys! OK, there are no real monkeys, but some really cute monkey statues. Especially the lovely statue of a mother monkey and her child on the left side of the main hall is said to bring blessings to pregnant women, or women who want to get pregnant. Therefore, a lot of people go up to the statue to gently pet the monkeys. Also, that’s why Hie-jinja Shrine is very popular among women and couples. 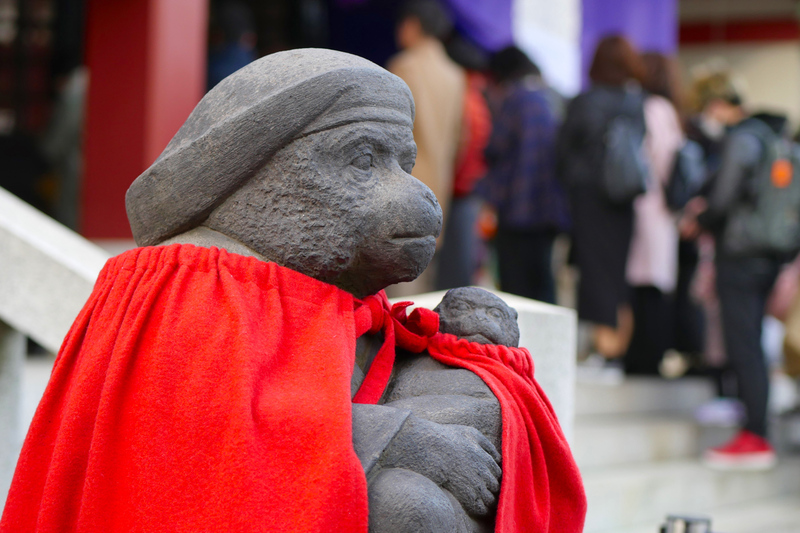 Since the monkey figures are very famous, the typical talisman amulets (omamori) and wooden wish plates (ema) – which you find at almost every shrine or temple in Japan – come in the shape of a monkey or have pictures of monkeys on them. These items are not only very cute but also make great souvenirs or gifts for your loved ones. 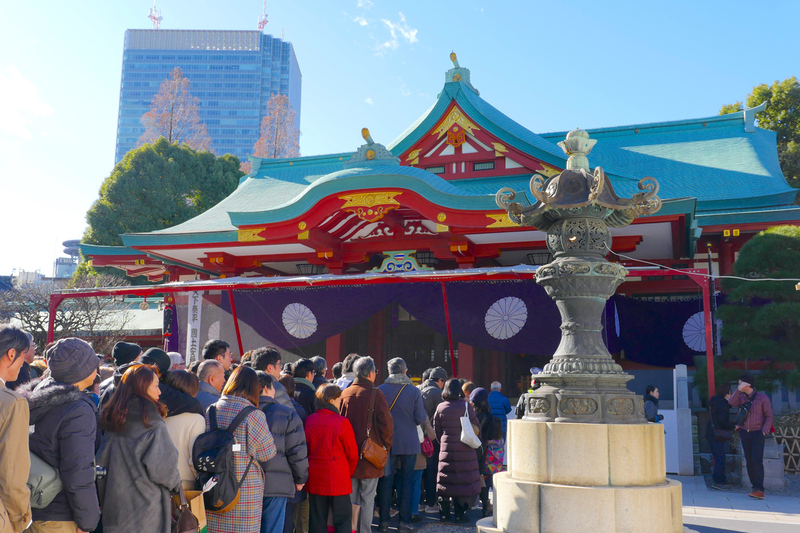 Hie-jinja Shrine is believed to be a so-called “power spot,” bringing luck to people who wish to find a partner, to those who are already or are going to be married, and to those raising children. 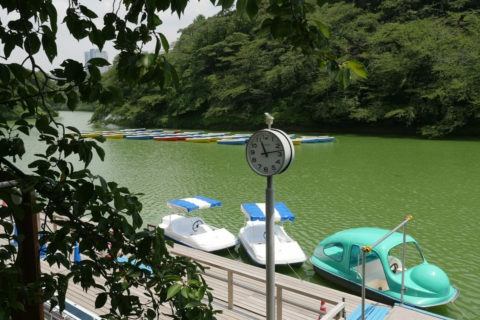 It’s no wonder many Japanese people want to have their wedding ceremony at this shrine. When visiting Hie-jinja Shrine on the weekend, you may be able to see the beautiful kimono of the bride at her traditional wedding. 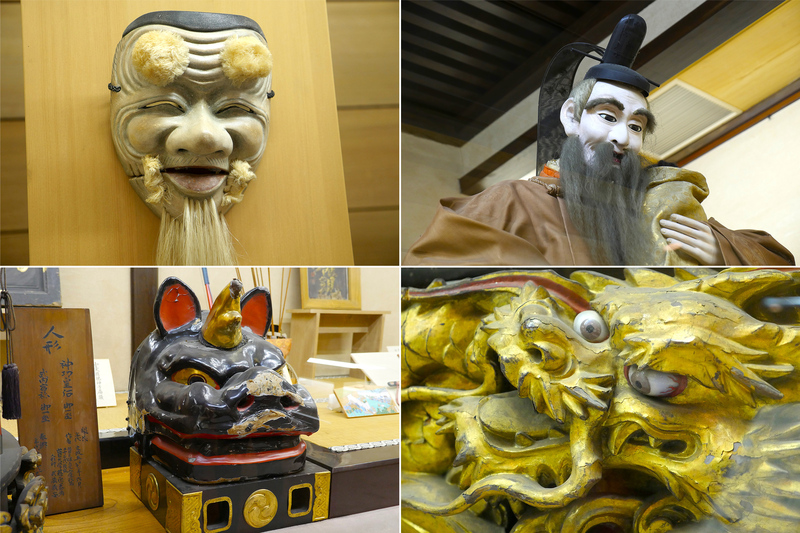 The “Treasure House” in the precincts displays the shrine’s treasures, which have historical value. The entry is free, so why don’t you stop by? The collection is recommended especially for those who are interested in the history of samurai. You can see real samurai swords! 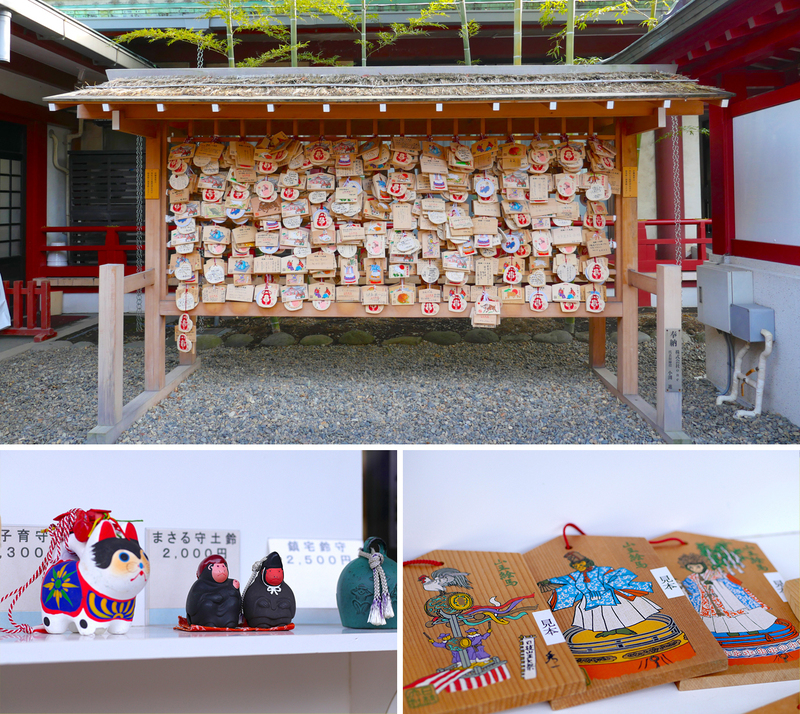 In addition, the exhibition includes dolls used at the famous “Sanno Festival” that takes place once every two years, national treasures, important Japanese cultural properties, handwritten letters (written 400 years ago) and much more. 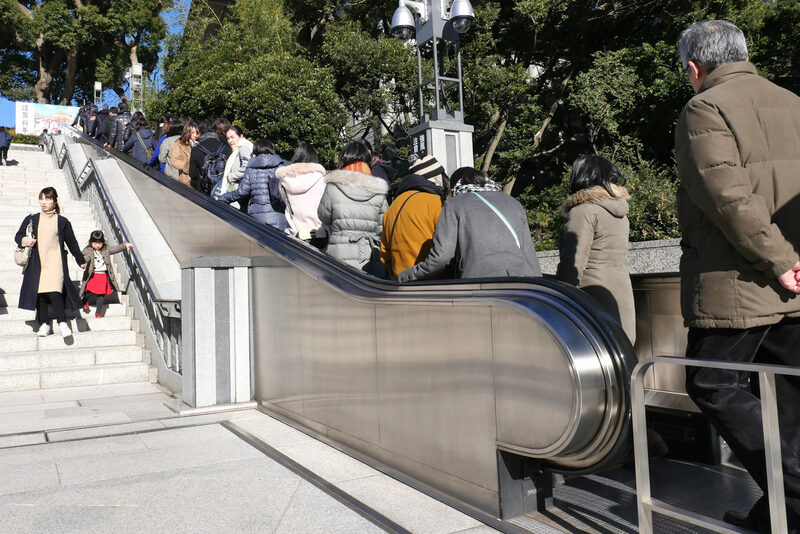 Particularly popular among foreign tourists are the “Senbon Torii”. 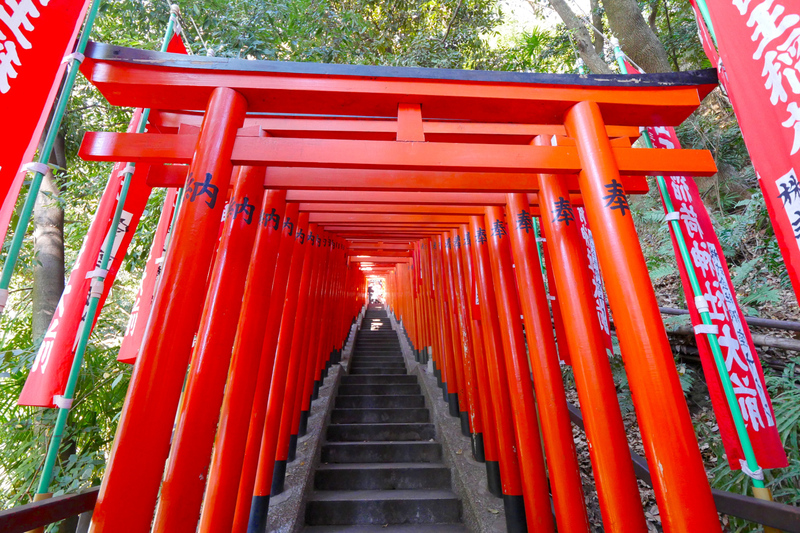 It’s a line of those red gates (tori), which you find at Japanese shrines. 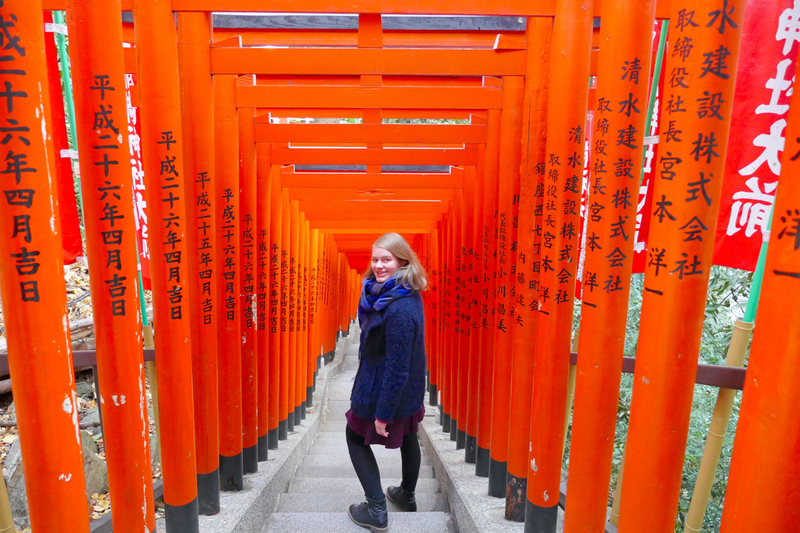 Speaking of “Senbon Torii”, Fushimi Inari Shrine in Kyoto is famous for its beautiful torii. 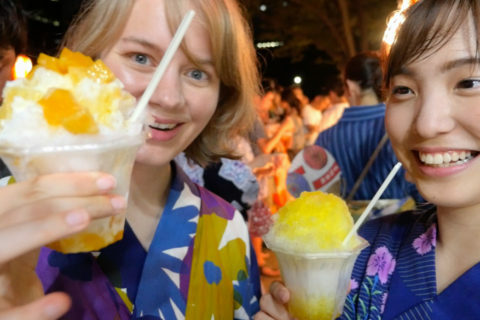 But if you can’t make it: Hie-jinja Shrine is the place to go! 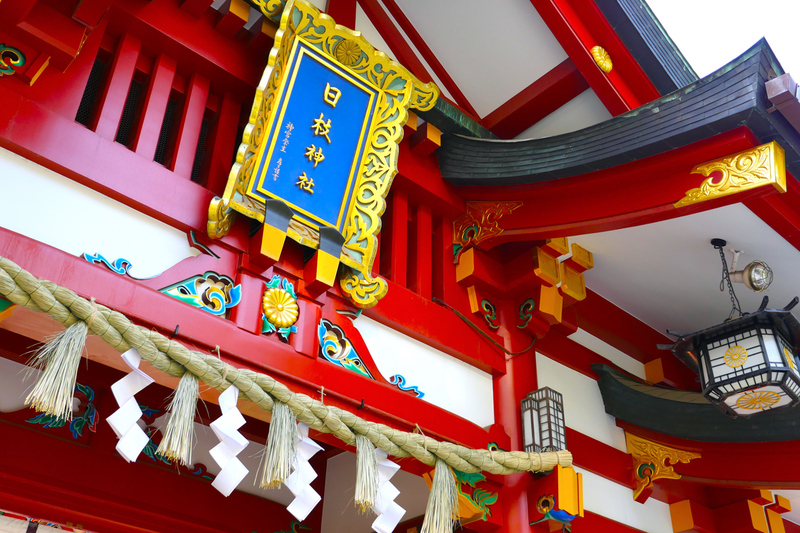 There is so much to see at Hie-jinja Shrine that you should plan some time to visit all the famous spots…and don’t forget to pet the lovely monkey! 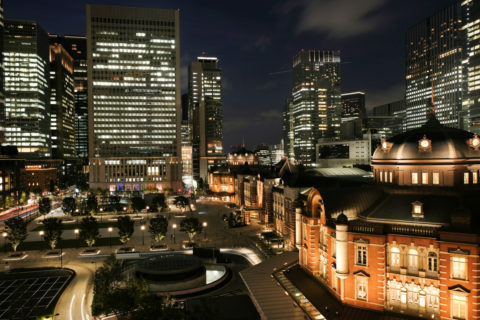 Next PostDo you know “Ochanomizu”, the musical instrument town for music lovers?